Nashe Wolfe is a strange and complicated man. When he meets Terry Taylor, things get even more complicated. He struggles against his own urges even as he becomes owner of his own restaurant, fighting his desire for the feisty woman. Terry Taylor fights her attraction to Nashe. His cocky attitude and high handed ways drive her crazy. When he decides to intrude upon her life, she curses his name and the day she met him. Fighting her own desires, she tries to break things off. Fate steps in. Nashe and Terry are forced together. Will they give in to their desires? Can Terry conquer Nashe's fears? Can Nashe and Terry find love? Wendy Stone only recently began her writing career. A small town girl with a Master's degree from the School of Hard Knocks, Wendy started writing as a way to combat boredom and keep from gaining dress sizes after an accident to her back kept her from working. No one was more surprised than she when people actually enjoyed what she wrote. Writing as Daniellekitten, Wendy has won many awards for her writing, including Most Influential Writer in 2005 through Literotica.com as well as Most Literary Genre Transcending. She's been nominated for many of the Reader's Choice awards as well as the Monthly awards at the same website. 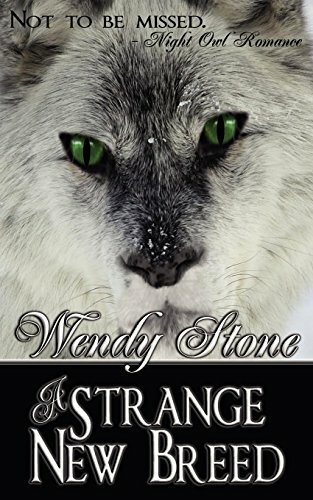 Wendy Stone resides in a small Michigan town, spending most of her time writing as well as enjoying time spent with her animals and the company of her family.